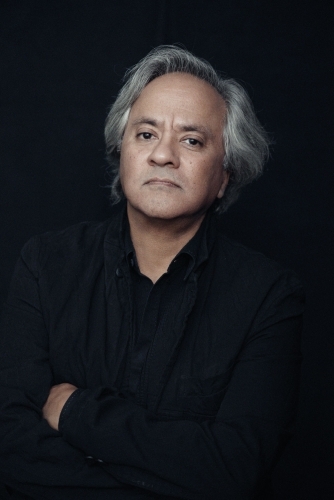 Sir Anish Kapoor is a hard man to get a hold of; there is protocol when you want to interview one of the most decorated artists on the planet. There will be routing, for instance, and rerouting — through the Kochi Biennale Foundation, at whose event Kapoor will exhibit for only the second time since he left India in the early ’70s.Through his studio in London, where he is developing the work he will show here (it’s being kept under wraps) against the g-force of interview requests that are no doubt pouring in. There will be waiting. Weeks of it, as you watch your deadlines advance on and past you. So when his studio calls without warning to patch me through to Kapoor, while I’m on a train in the European countryside with poor mobile reception, I’m glad for the set menu of questions — pre-approved by his people — that I’ve been carrying on my person at all times. The desperation is palpable as opening day, December 12, draws closer. Most of the artists working to realise their dream projects have had to foot their own bills, or have had help from galleries even as they field the challenges of an unfriendly economy. Speaking of the notorious speculators who bet on and then crashed the Indian art market in 2007, Kapoor notes bitterly, “Everything in India has become so transactional. You have to have people who believe in art who are not out to make money.” And while each of Kapoor’s works sell for many millions of dollars today, in all currencies around the world, and many are acquired by major museums, from the Guggenheim to the Tate — and while he remains an undeniably savvy businessman — the germ, the raison d’etre of his success has always been the art, the creation. Kapoor’s rise is the stuff of fables. His 40-year trajectory takes him, a disgruntled Doon School boarder from Bombay (he hated it with a vengeance), to the Chelsea College of Art in the early ’70s, to being a radical figure in the London art world in the ’80s, and eventually to high priest of international contemporary art, where he has remained for the last 20 years. The sculptor’s career is littered with peaks and firsts — representing Britain at the Venice Biennale in 1990 at 36, to winning the Turner Prize the following year. He was elected Royal Academician in 1999, became the first living artist to have a solo retrospective at the Royal Academy of Arts 10 years later, and was picked to create the multimillion-dollar ArcelorMittal Orbit for London’s Olympic Park in 2012. Last year, he was knighted for his service to Britain’s visual arts. All this, 60-year-old Kapoor doesn’t want to talk about. Go to his orderly, colour-coded website and you’ll know everything’s been said already. But what has perhaps not been spoken about quite so expressly is where India figures in all of it. He has made fleeting allusions to its influence on his work — his lifelong entrancement with the pigment red that governs his most visceral works, he has said, might come from his Indian roots, as much his preference for a kind of mysticism and not wanting to be burdened with being interpreter of his art (he’s known to open interviews with a shrug and a, “I have nothing to say”). Critics — most of them Indian — didn’t go for his reticence, accusing him of abandoning his Indian identity for his British one. Until, that is, his return to India in 2010, 38 years after he left, in a stunning, watershed debut organised by Jhaveri Contemporary in Mumbai, in partnership with the British Council and Government of India. The expansive ‘homecoming’ exhibitions that spanned his oeuvre were held at the National Gallery of Modern Art in New Delhi and Mehboob Studio in Mumbai. He was feted like a long-gone prodigal son — Sonia Gandhi inaugurated the NGMA show. As to why it had taken him so long, Kapoor said vaguely that it was just a matter of the right venue and time. This time around, however, it isn’t going to be all smiles and handshakes. Kapoor is bagging the mystique for clear, vocal displeasure. “There are no real museums or government support for the arts in India. It’s not just visual art; the performing arts are also in dire crisis. There’s no concern for any culture except for Bollywood. I am not saying Bollywood hasn’t done some very interesting things, but it’s not art. It’s entertainment. That can’t be the only culture left in our country. There seems to be a lack of concern for preserving our heritage, for thinking about the future.” Kapoor, who has shown in China, talks about how the country opens a few hundred art schools every year, while India’s institutions are falling apart. “Somehow [China has] understood the importance of art to their society,” he says. Does he hope to be a role model, then? “I hope so,” he says. While he is unsparing in his rhetoric, his work lives in a sublime part of our existence, where imagination can take flight. He started his career with smaller, quieter emblems that explored a Zen-like fascination with the world. Sometimes these creations — small, powdery forms in bright colours like in his seminal ‘1000 Names’ series — were attributed to Asian philosophies, which pride mind over matter, but they were universal enough that they didn’t get lost in ethnic navel-gazing. Material takes on meaning in Kapoor’s hands, morphing into fantastical objects that belie easy definition. The elemental powdery forms gave way to mind-bending use of reflective stainless steel in the mid-’90s. His iconic concave mirrors culminated in the breathtaking (and controversial) public art project ‘Cloud Gate’ (that massive bean-shaped reflective sculpture in Chicago’s Millennium Park) in the 2000s; Kapoor’s skyline-challenging proposal won out over artists like Jeff Koons. Today, comparisons to Richard Serra, the world’s greatest living sculptor, are commonplace. His own work embodies the spirit of individuality, while drawing elementally from mythology, philosophy and history to create psychological experiences of time and space. I think back to one of my favourite works by Kapoor — ‘Leviathan’ — which I saw in 2011 at the Grand Palais in Paris. It was a 124-foot inflatable sculpture in a dried-blood-red colour, with twice that width and three times the length in the center of the cavernous classical architecture. Inverting the light-filled interior of the Palais, the work cast deep shadows under it, its undulating surface creating passages through which people could walk as if walking “into a bodily space”. A complex feeling of awe mixed with danger resulted from the ominous form, so voluminous and sensual was it at the same time. It had all of Kapoor’s signatures. Duality, reflected in the interplay between the art object and the nature of the void, between absence and presence — he uses emptiness as effectively as he uses material, where emptiness appears as if it were being sculpted out of thin air. And scale, to manipulate the viewers’ emotions related to space. The result is poetic and spare. If you just don’t get what on earth any of that means, you can still be spellbound by the physical beauty of these works. This is what has allowed Kapoor’s works to transcend the sometimes inaccessible frame of the art world and lend themselves directly to people in public spaces.